The Gunnison Greenback program is a copywrited program created in 1998 by the Gunnison Country Chamber of Commerce. Businesses and individuals can purchase greenbacks dollar for dollar at the Gunnison Chamber located at 500 E. Tomichi Ave., Gunnison Colorado 81230 at any time throughout the year. 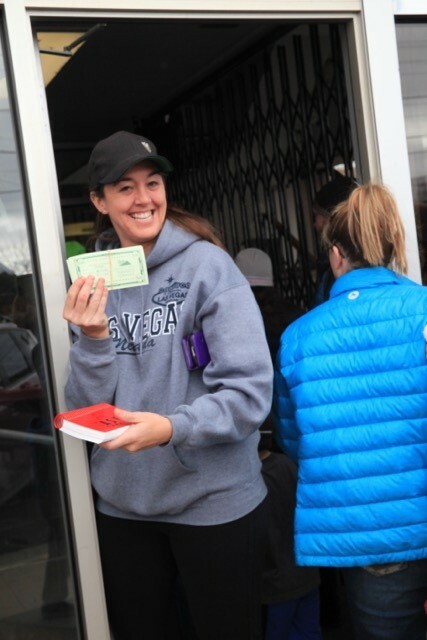 Greenbacks are a form of local currency that can be used anywhere in Gunnison, this includes grocery stores, retail shops, restaurants, gas stations, and more. The Holiday Greenback Exchange takes place the first Saturday in December at 10:00 a.m. at the Bank of the West Foyer. We will exchange $80 in cash for $100 in Greenbacks, limited to one per person, you must be 18 years of age to participate. The Exchange Greenbacks will be valid for December 1-22, 2018 only. Many retail stores will be having Greenback promotions during that weekend also to help you stretch your shopping dollars even farther. Greenbacks are just like cash! When using a Greenback for a purchase you will receive cash back for any unused amount. Greenbacks carry an expiration date and will not be valid after that date….so don’t forget to use them! !